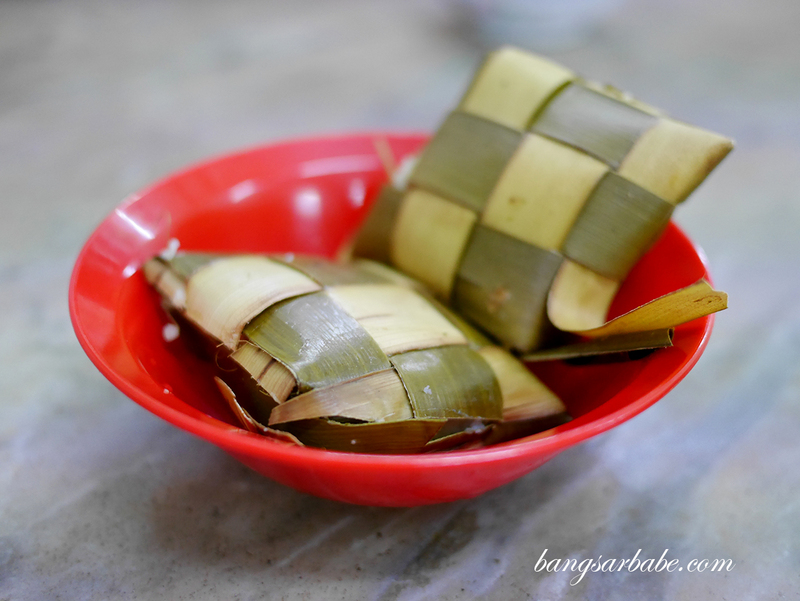 Eating out in Melaka is often a rewarding experience for me, especially since Jien’s father is very familiar with the food scene there. Jien too, is quite well-versed with the food scene having taken after his father when it comes to eating well. 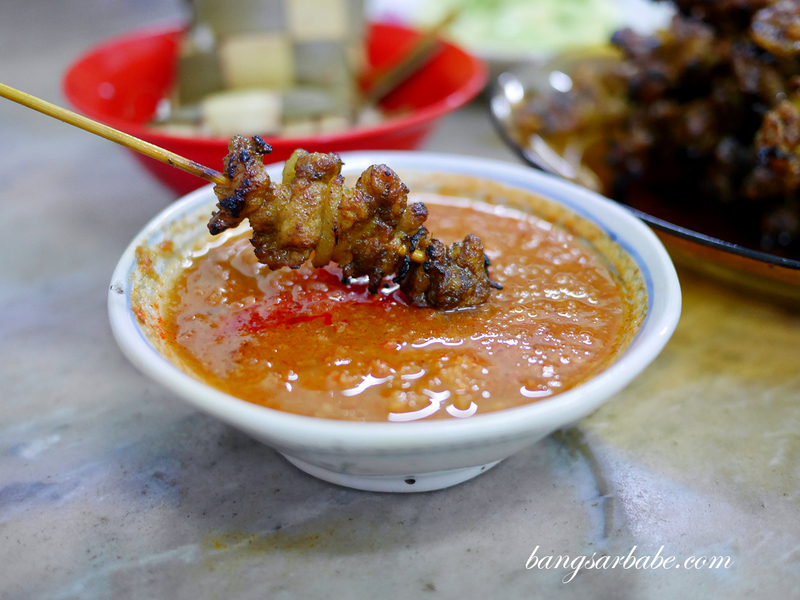 During our recent trip to Melaka, he took me to Hai Heng for pork satay, said to be one of the best in Melaka. 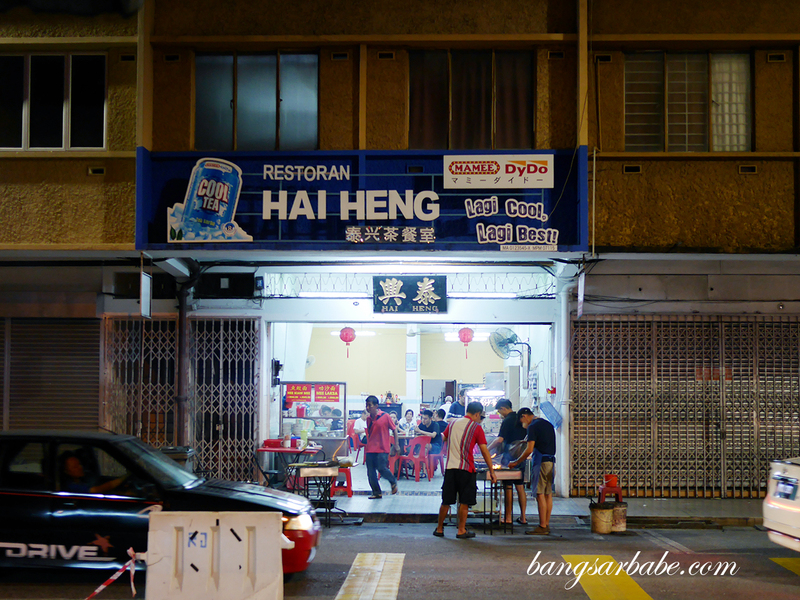 Unlike the pork satay place we usually frequent, Hai Heng opens at night and there’s perpetually a long queue until they run out. 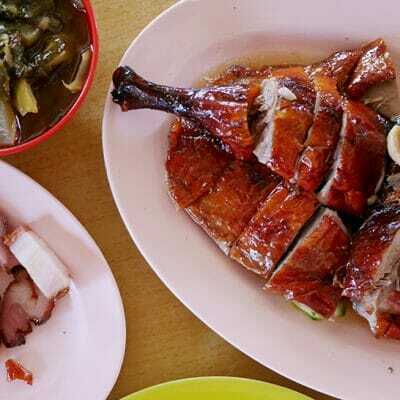 It’s best to get there before 7.30pm on weekends to secure a table and they run out by 9pm due to the large number of takeaways they cater to. 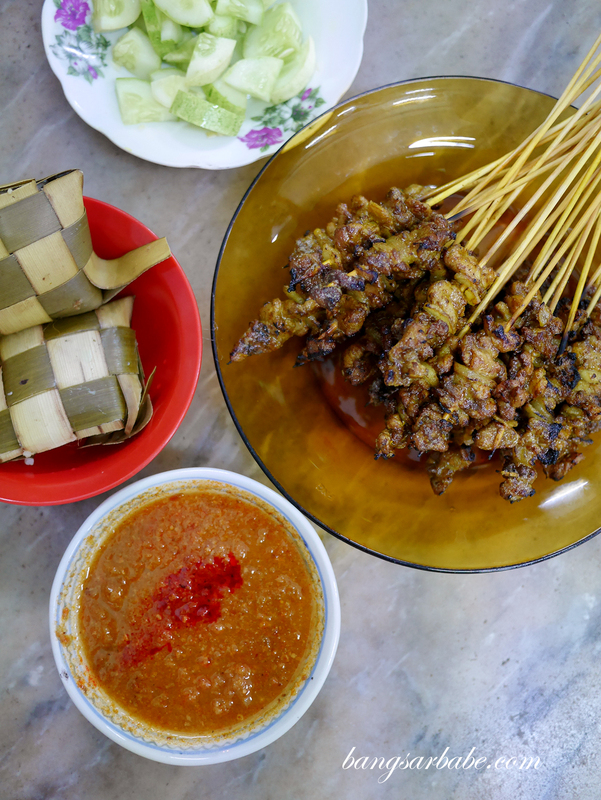 It took Jien and I more than 30 minutes before we got our table and we were also one of the last and lucky few to get our share of pork satay. Nyonya laksa is also available while you wait for your pork satay but I opted to keep my stomach space for all the satay I can stomach. 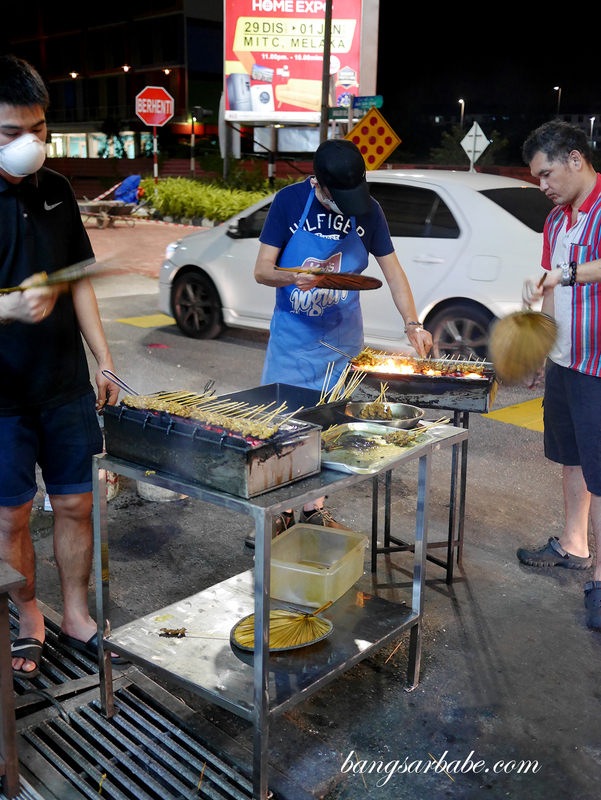 Three young men man the grilling pit out front so it doesn’t take long for your pork satay to arrive. 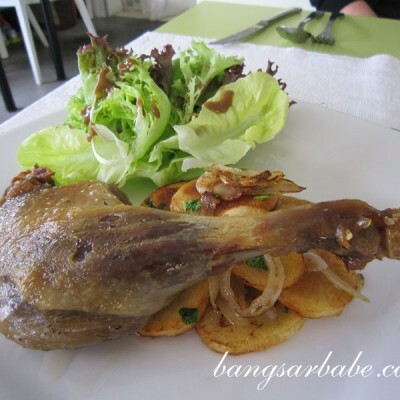 That said, I reckon it’s best to “order in bulk” just to be sure you get your fair share of meat. 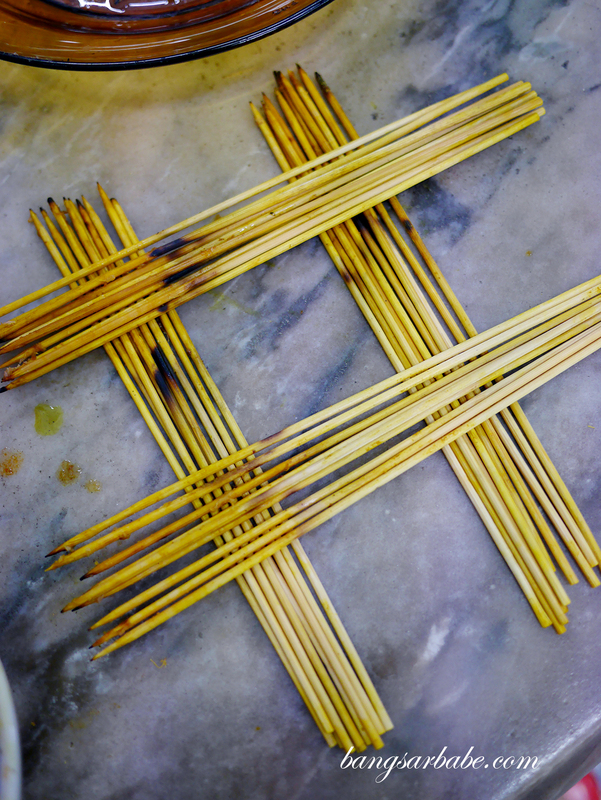 Jien and I had 70 sticks altogether, and a plate of ketupat to mop up the pineapple gravy. 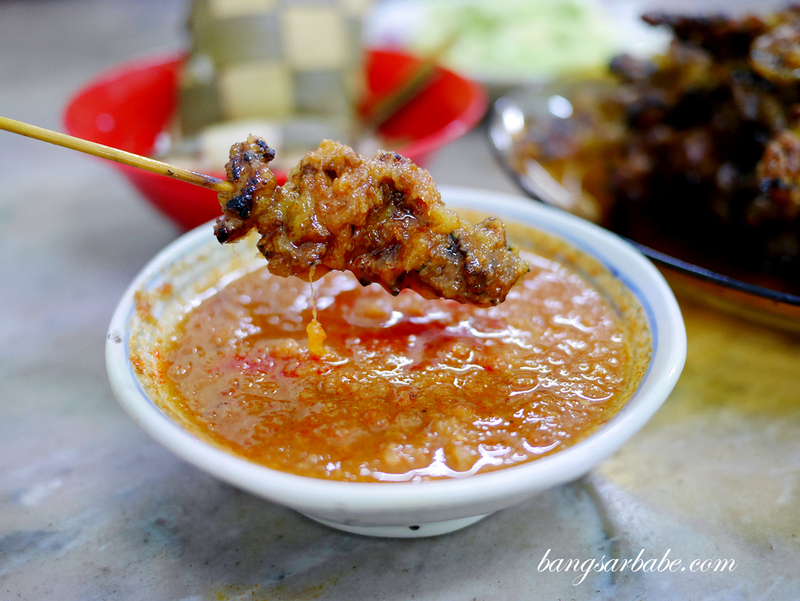 I found the satay quite good – there’s a nice balance of meat and fat, plus the sides are teased with charcoal fire till crispy and lightly charred. 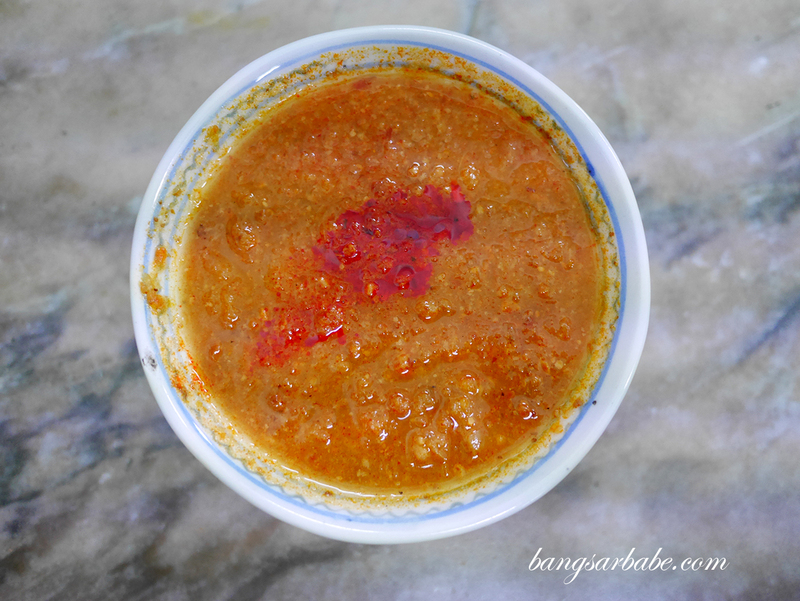 The accompanying pineapple sauce had a good balance of sweet, tangy and spicy, plus that “lemak” finish which makes it even more addictive. 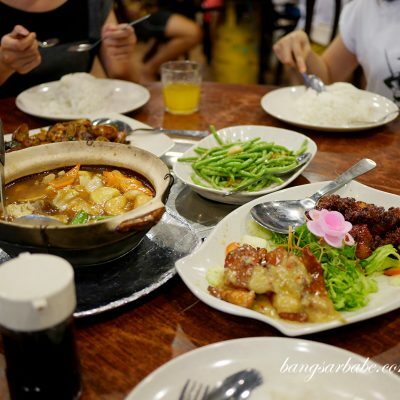 It is sweeter than the sauce at Xiang Ji but delicious in its own way; so it boils down to personal preference. 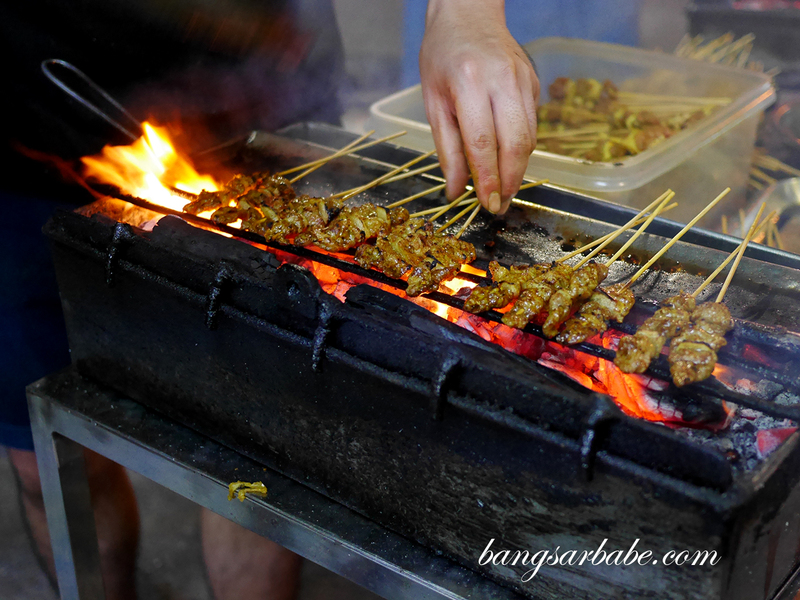 By the time my second batch of satay arrived, I overheard the uncle telling new customers they have no more satay for the night. Lucky us! 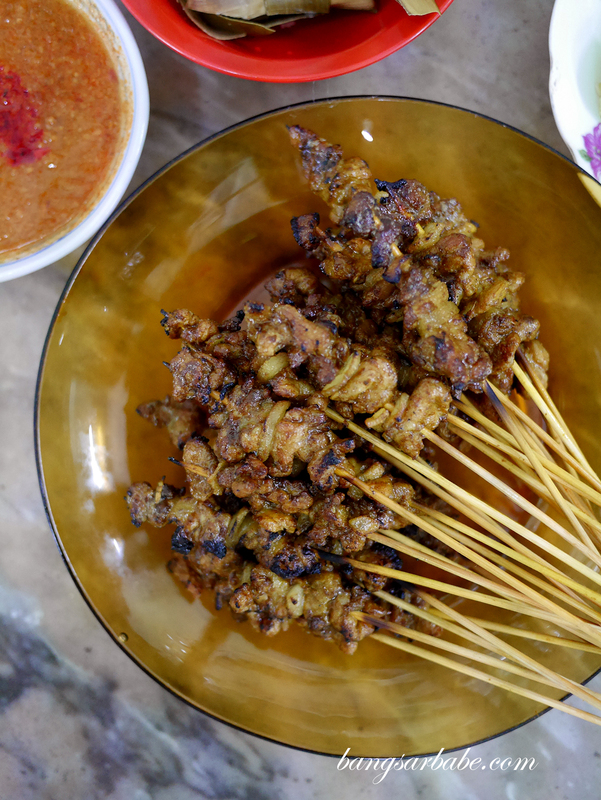 A stick of pork satay costs RM0.80 and they also have intestines if that’s your thing. 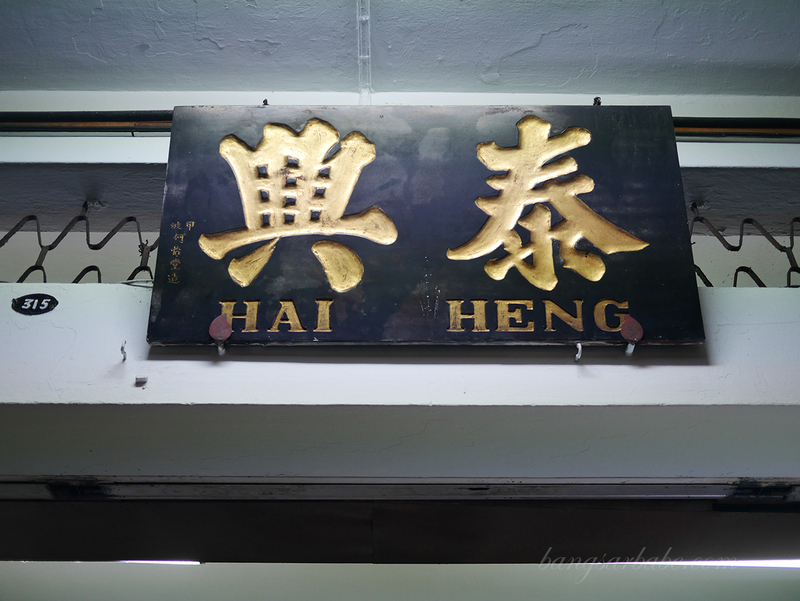 Jien likes eating intestines at pork satay places and he said Hai Heng’s version was quite tasty. 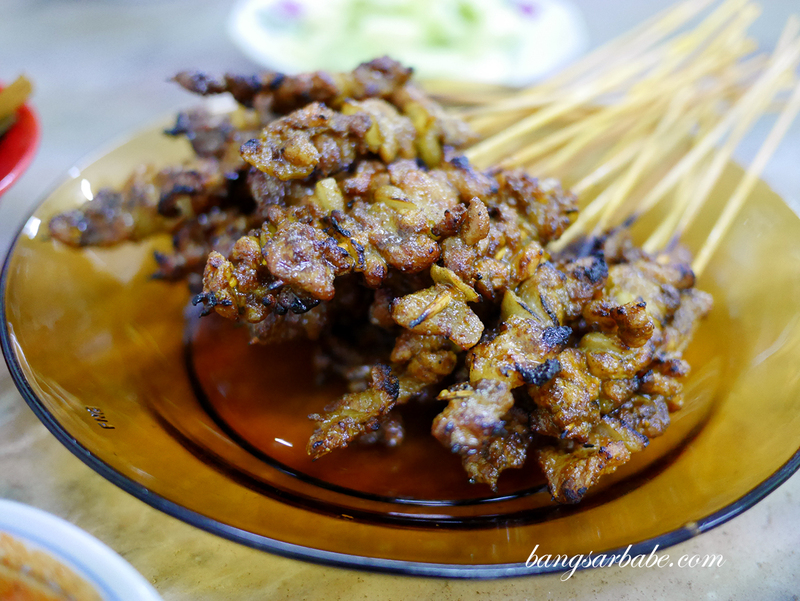 Verdict: If you’re looking for pork satay at night, this is a good option.